The Indoor Pool will be closed during the time of 09-13 JAN 2019, to conduct warranty repair. We apologize for any inconvenience this may cause during this time, and look forward to seeing you when we re-open. For additional information you may call +1 (706)833-2849. Monday 5:30 a.m. - 1 p.m.
Tuesday 5:30 a.m. - 1 p.m.
Wednesday 5:30 a.m. - 1 p.m.
Thursday 5:30 a.m. - 1 p.m.
Friday 5:30 a.m. - 1 p.m. The Indoor Pool is considered a fitness and learning pool. We are here to meet your water safety and aquatic fitness needs. 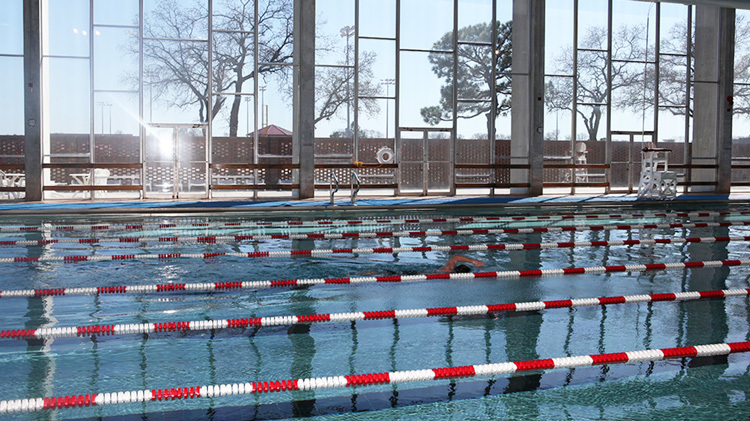 We offer swimming lessons year round to all ages at the Indoor Pool. For child swimming lessons, see below for information and to identify what level your child should be in. 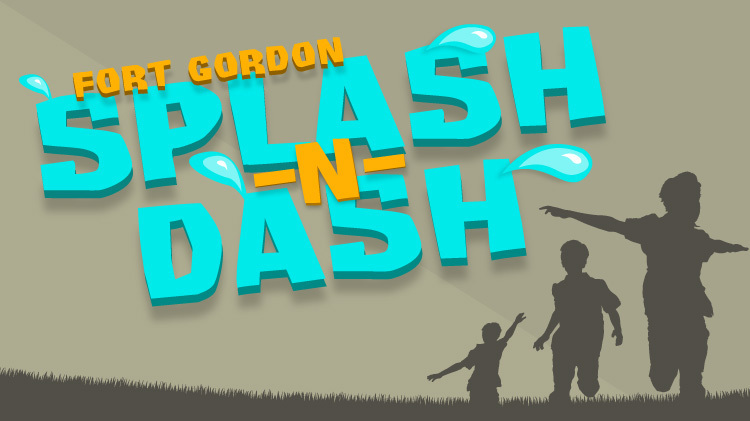 These lessons are designed for children to learn how to be comfortable in the water and, for parents to learn water safety. The instructor leads children through a series of songs and games to help them become familiar with buoyancy, simultaneous arm and leg action, streamline and submersion. 30-minute class. Prerequisites: Must have a willingness to submerge. These lessons are designed to help younger children to learn independence in the water. They will learn buoyancy on front and back, simultaneous arm and leg action on front and back and streamline glides on front and back. 30-minute class. These lessons are designed to help children to learn independence in the water. They will learn buoyancy on front and back, simultaneous arm and leg action on front and back, plus streamline glides on front and back. 45-minute class. Prerequisites: Must have a willingness to submerge. Participants must have passed the Octopus/Crab level. These swim lessons are designed to allow children to learn independence in the water. They will learn buoyancy on front and back, simultaneous arm and leg action on front and back, and streamline glides on front and back. 45-minute class. Prerequisites: Must be able to submerge for 5 seconds. Must be able to complete all buoyancy, streamline glides, and simultaneous arm and leg action independently. Must have passed the Turtle level. These swim lessons are designed to take a child that has progressed to the point of independent swimming, and refine their technique in a way that allows them to increase their distance and endurance. Our goal is that the swimmer will be able to increase their proficiency in the water to move on to swim teams. 45-minute class. These lessons are designed to help to allows adults to learn independence in the water. They will learn buoyancy on front and back, simultaneous arm and leg action on front and back, plus streamline glides on front and back. 45-minute class. Group Lessons (Adults and Kids 5 years and older): $40 per 5-class session (45 minutes long). Group Lessons (Kids 6 months to 5 years): $40 per 5-class session (30 minutes long). Swim lesson registration is first come, first served in-person at the Indoor Pool for lessons. No over-the-phone registration. Students must be 15 years of age, an authorized user, and pass the prerequisites – which include swimming 300 yards, treading water for 2 minutes, and complete a weighted timed event. To register, contact us using the "Email Us" button at the top of the page. See Calendar for upcoming class dates. 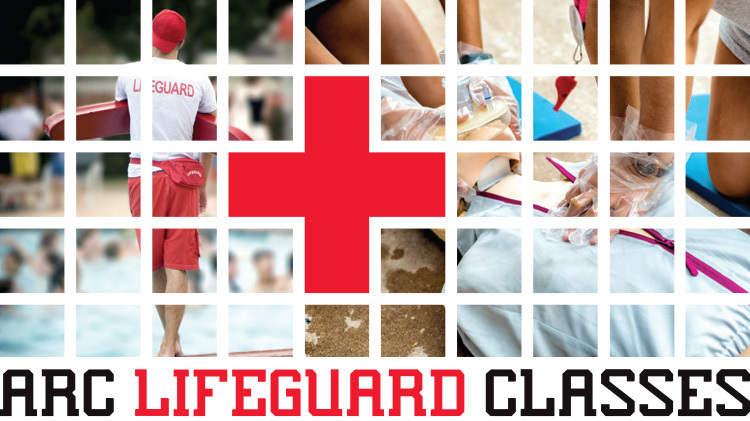 Lifeguarding Class Fact Sheet – Information about class requirements and pre-req's. At this time, we no longer offer Aquaholics – Addicted to Fitness class. However, we encourage our patrons to come to the pool to do their own water workouts! Challenge your endurance and stamina in the pool with our new incentive program. Track your progress in the pool and earn prizes for each milestone you meet. Call the Indoor Pool for more information. The temperature of the Indoor Pool’s water is 82 degrees year-round. The Outdoor Pool is heated by the natural sunlight. Yes, they are certified by the American Red Cross. Are you required to wear a swim cap? The Indoor Pool is 50 meters long (one way; 100 meters per lap) and 7 lanes wide. The Outdoor Pool is a recreational facility. What are your age limitations? Persons 13 years and older may come in unaccompanied with a valid military ID. Persons under the age of 13 must be accompanied by an adult 18 or older. Can we bring our own toys? Can my child wear water wings? If not do you have lifejackets? No water wings or inflatables are permitted inside of the pool area. We offer lifejackets at both facilities. Is your pool ADA acceptable? Yes, we have chair lifts available. Yes, it is located upstairs at the Indoor Pool. Can I wear PTs in the pool? Yes, as long as you have some sort of undergarments underneath your PTs. Yes, there are showers and lockers available at the Indoor Pool. The Outdoor Pool facility does not have showers or lockers. Is there a cost? If so, how much? There is no cost for the Indoor Pool. For the Outdoor Pool, please see pricing details under the "Prices" tab on the Outdoor Pool page. How often do you have swim lessons? 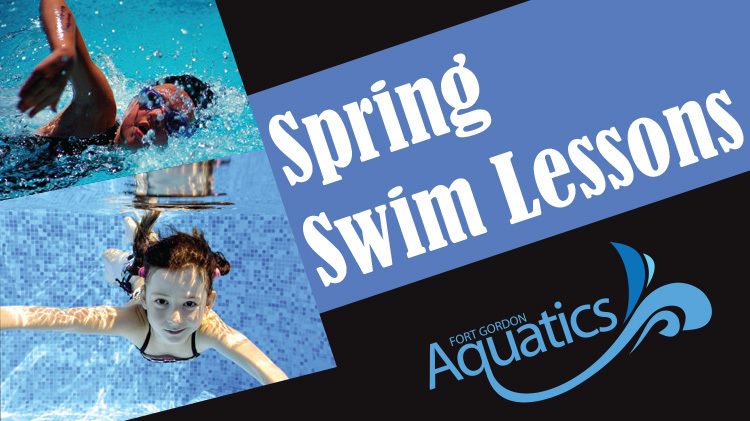 We offer swim lessons every month with registration opening on the 1st of each month. Registration can be found here. How many guests per ID card holder? Authorized ID Card users who are over the age of 18 are allowed 2 guests. All guests need to show photo ID. 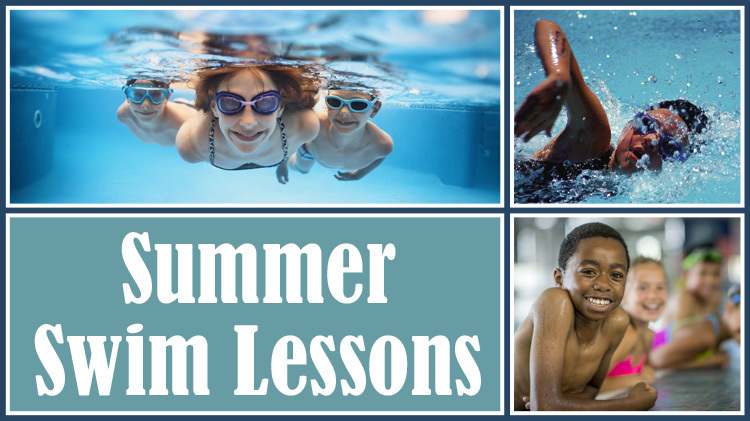 Swim Lessons, Lifeguarding and Discover Scuba. How do I reserve the pool? For the Indoor Pool, you must submit a memo at least 2 weeks in advance. Outdoor Pool is availabe for brithday parties during the season. Please call for more details. Do you have recreational swimming? The Outdoor Pool is completely recreational. How tall must you be to ride the slide? You must be 48 inches OR be able to swim. Do you have to have a military ID? Yes, you must be associated with the military (Active Duty, Reserve, Guard, Contractor or DoD Civilian). Are we allowed to leave and come back with our wristbands? Yes, as long as the wristband is kept on your person. Why do I have to cover up if I’m going to my car? Army and Post Regulation states that you must be covered (shirt, shorts/pants and shoes). Where can I smoke around here? 50 feet away from any building on Post. Do you have towels or goggles? We offer a selection of goggles, but they do run out on occasion since they are from the lost and found. Please bring your own towel. About 16 full laps (down and back). Both facilities have a deep end of 12 feet. How far is 800 yards? 7 full laps and then half the length of the pool at the Indoor Pool. Do you have to take a swim test? No, unless you would like to jump from the high dive or ride the slide at the Outdoor Pool. Are you allowed to bring outside food or a cooler to the pool? You may bring drinks and coolers that are smaller than 12 inches wide by 12 inches tall by 12 inches deep (lunch box size). We maintain the right to check it. No glass or alcohol is allowed. Do I have to show my ID everytime I come to the pool? Yes, even if you purchased a membership pass.